"Travel to wonderful Copenhagen - you never know who you'll meet!" Marketing agencies, in every such book I read, fail to promote the heroine, even though she is sure she deserves it. Who'd be a marketer? Kate Sinclair gets passed over for her boyfriend Josh Delaney. Tossing her a token account, her boss suggests she try to impress a Danish department store owner about to open a branch in London. He's into the latest fad of hygge which is in London women's magazines. 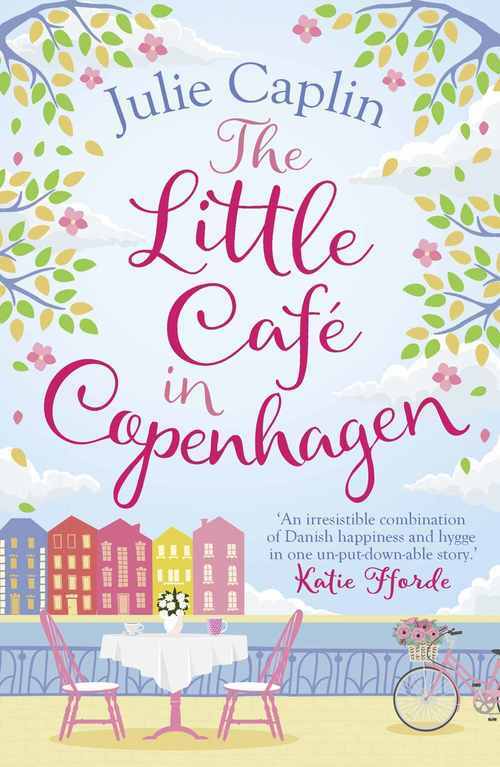 THE LITTLE CAF� IN COPENHAGEN continues from the inauspicious beginning as Kate tells her flatmate Connie that she has dumped the patronizing, idea-thieving Josh. At least Connie has read about hygge, a concept like feng shui which helps make your life and home happier by changing small items. Like candles, blankets and cookies. Lars Wilder turns out to be a lot more relaxed than most CEOs, so maybe there is something to the trend. I enjoyed this adventure a lot more than I would have expected, partly because we get to go to the Press Awards and meet a variety of industry insiders. Next thing, six of them are accompanying Kate to Copenhagen, driving her mad, taking off in all directions, blogging and tweeting, and including one very fanciable guy called Benedict Johnson, who has made it clear that he really dislikes PR, has higher journalistic aspirations and doesn't want to be on the jaunt. What a smashing recipe! Recipes galore are found in Copenhagen, with cinnamon pastries, 250 kinds of open sandwich and a restaurant meal of local pleasures finishing with birch ice-cream. If you're not already sold on the story, just consider it a necessary antidote to all those bleak, wintry Scandinavian crime tales. Home cooking in a small caf�, romance in spite of everything and not a murder in sight. Julie Caplin has given us the tourist board's dream with rich entertainment and sensory delights. Give THE LITTLE CAF� IN COPENHAGEN a try; you deserve a brighter life. Publicist Kate Sinclair�s life in London is everything she thought she wanted: success, glamour and a charming boyfriend. Until that boyfriend goes behind her back and snatches a much sought-after promotion from her. Heartbroken and questioning everything, Kate needs to escape. From candles and cosy nights in to romantic late-night walks through the beautiful cobbled streets of Copenhagen, Kate discovers how to live life �the Danish way�. Can the secrets of hygge and happiness lead her to her own happily-ever-after? Re: Travel to wonderful Copenhagen - you never know who you'll meet! What a fun review! Thanks! Sounds like a good read.